Huge rocks stand mystic guard in a foggy ocean rain. hd00:30HD - Huge rocks stand mystic guard in a foggy ocean rain. 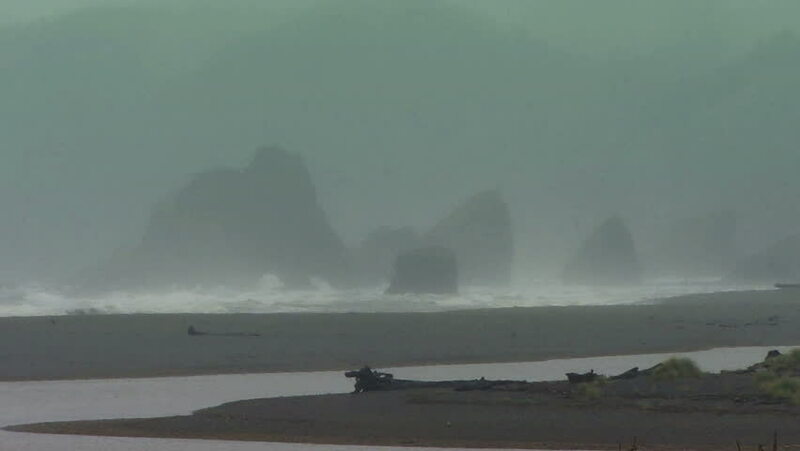 hd00:30Oceanic 0301: Huge rocks stand mystic guard in a foggy ocean rain. sd00:30NTSC - Huge rocks stand mystic guard in a foggy ocean rain. sd00:30PAL - Huge rocks stand mystic guard in a foggy ocean rain. hd00:46Foothills Forest Fire. Smoke plume lofts from a fire in the foothills of the Front Range. The plume motion also marks the strong wind shear from southeasterly upslope at low levels to westerly aloft.